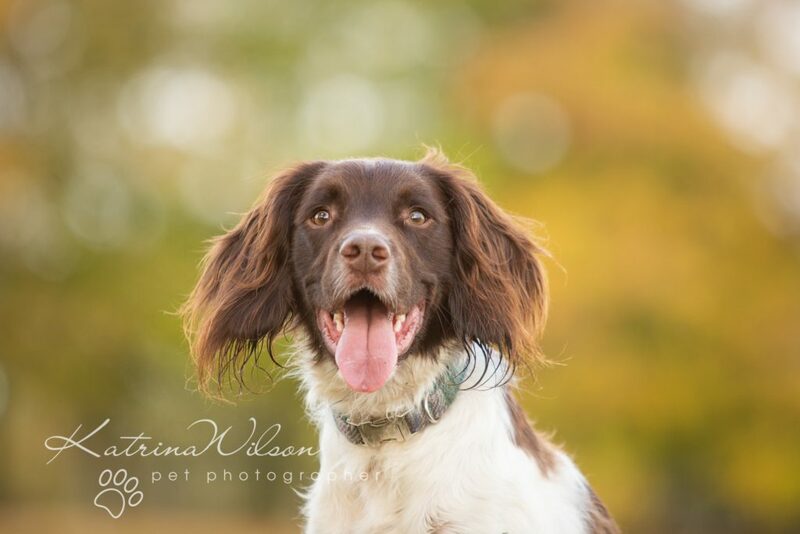 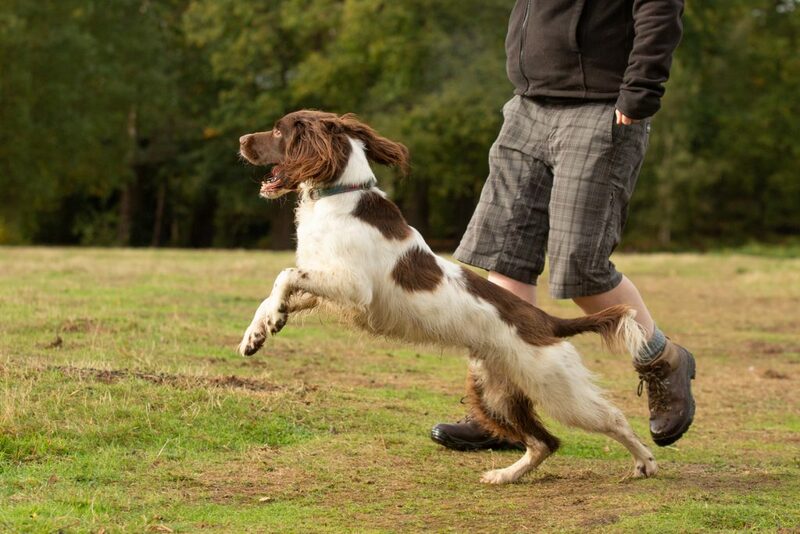 Celt is a very active Springer Spaniel who totally enjoys life to the FULL! 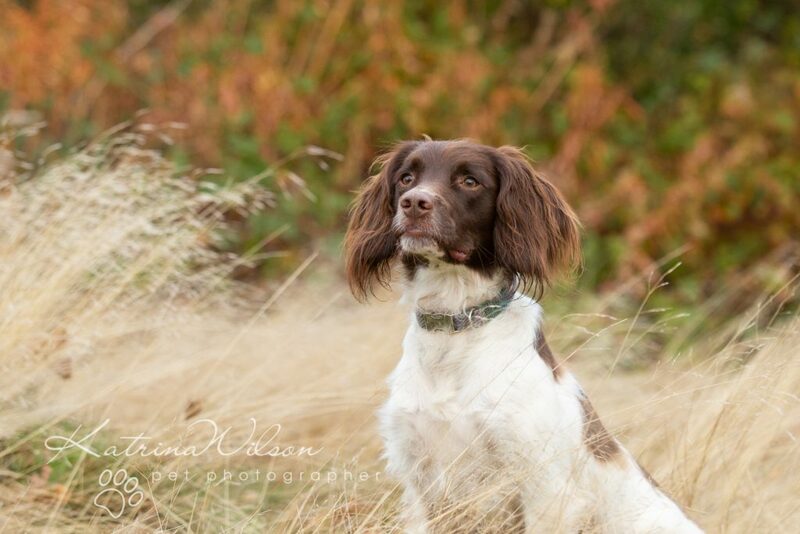 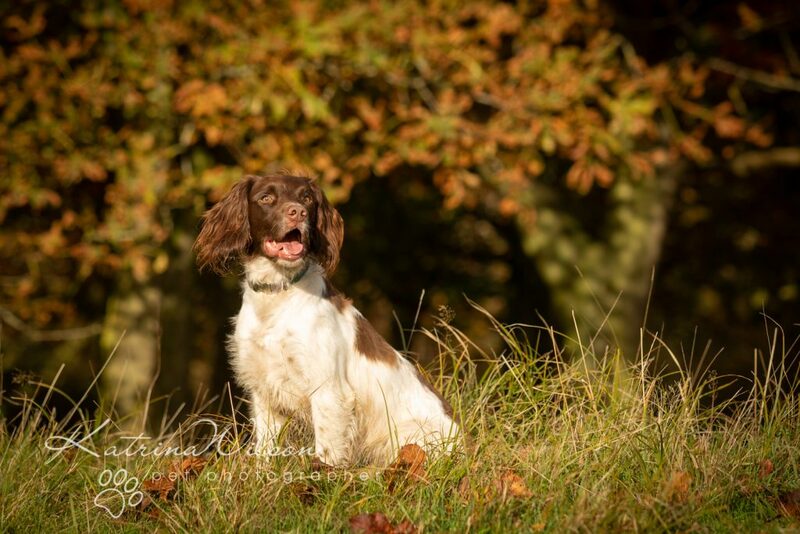 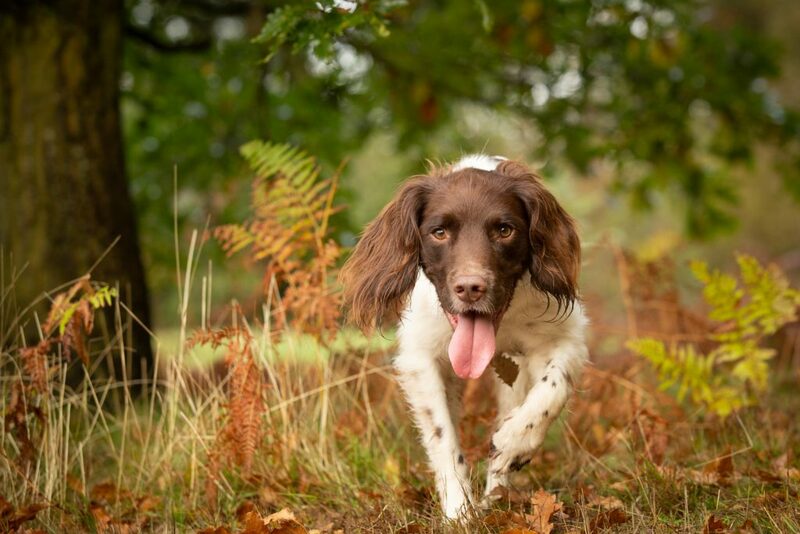 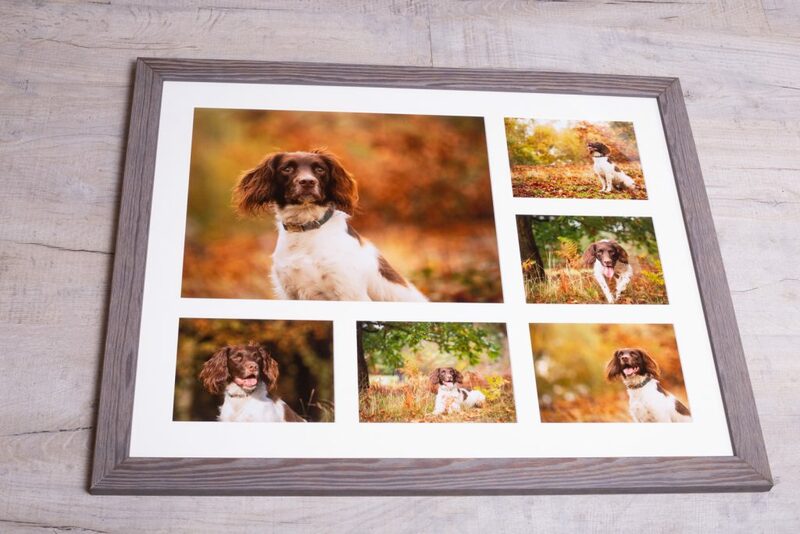 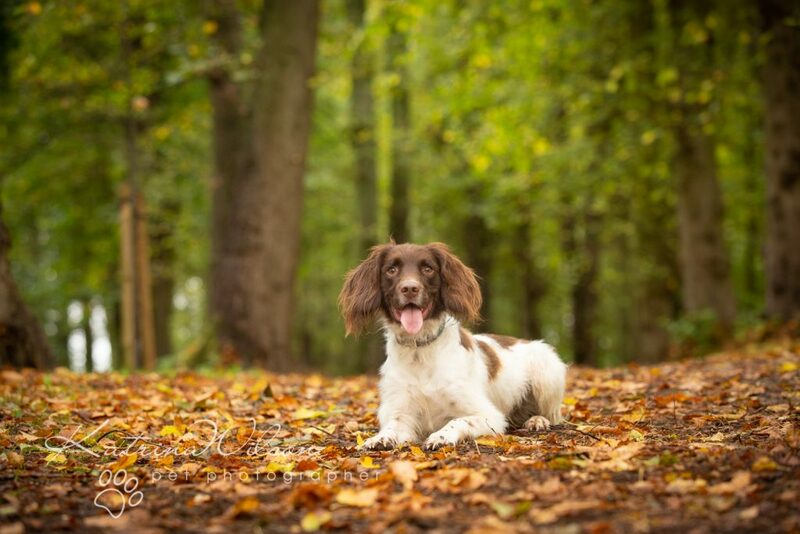 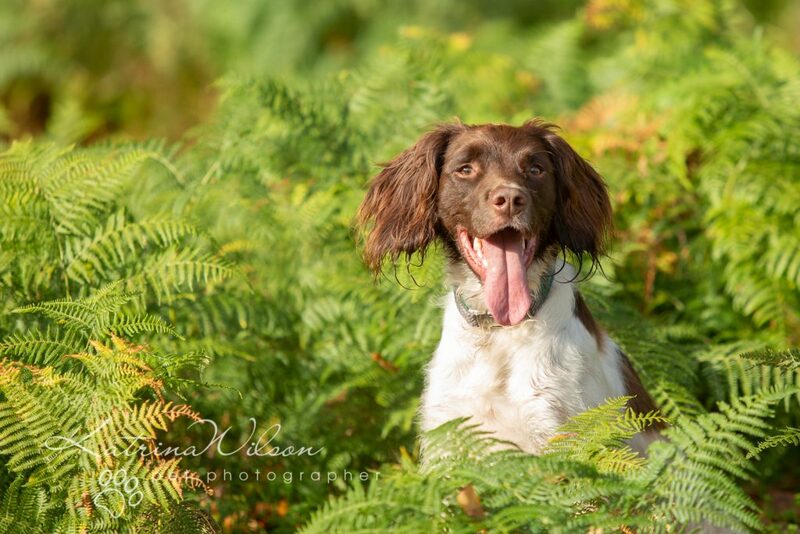 Being a typical spaniel, planning an Autumn photo shoot in Ampthill Great Park, could have proved very challenging as Celt has been known to chase a squirrel or two! 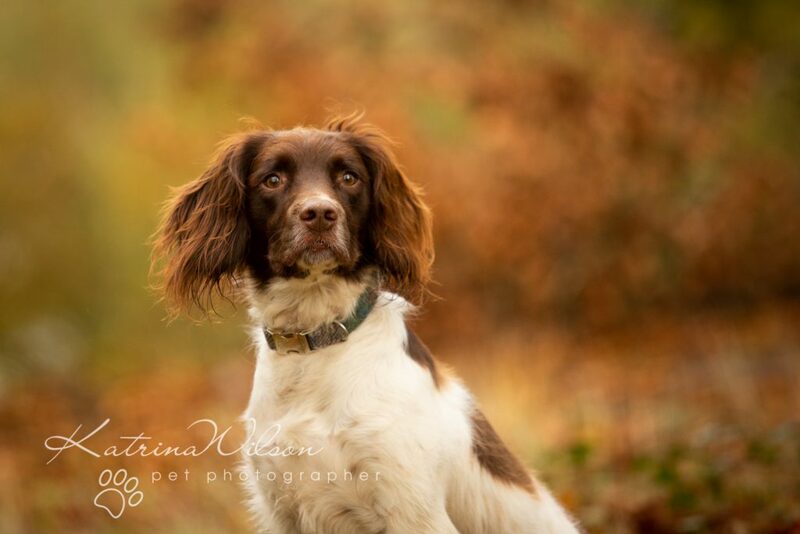 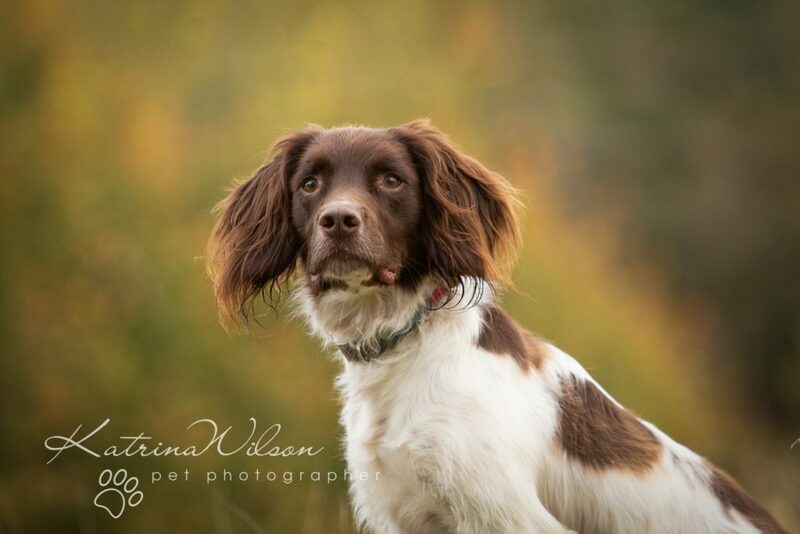 However, he was super focussed on Claire and was a dream to work with The beautiful Autumn colours totally complimented Celt’s colouring With his top class poses we were able to capture some stunning portraits Anyone who has owned or known a spaniel, will know how “busy” these dogs can be (and Celt is no exception!) 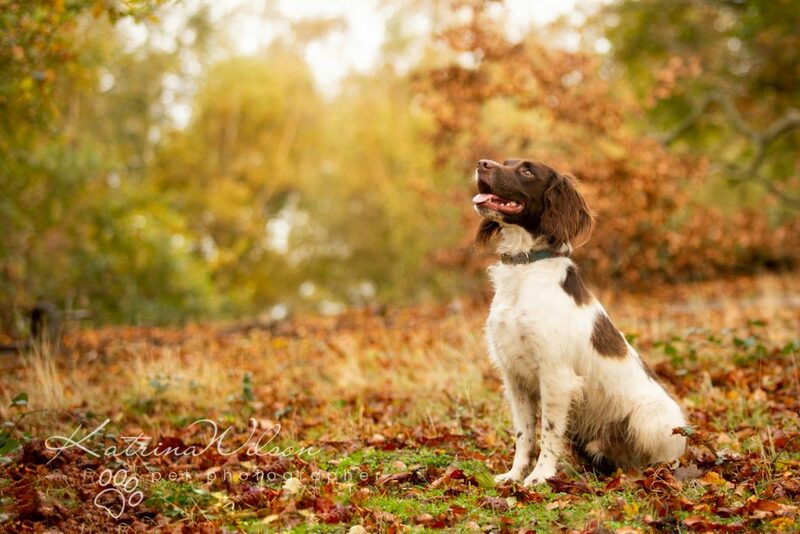 but he sat perfectly in location after location! 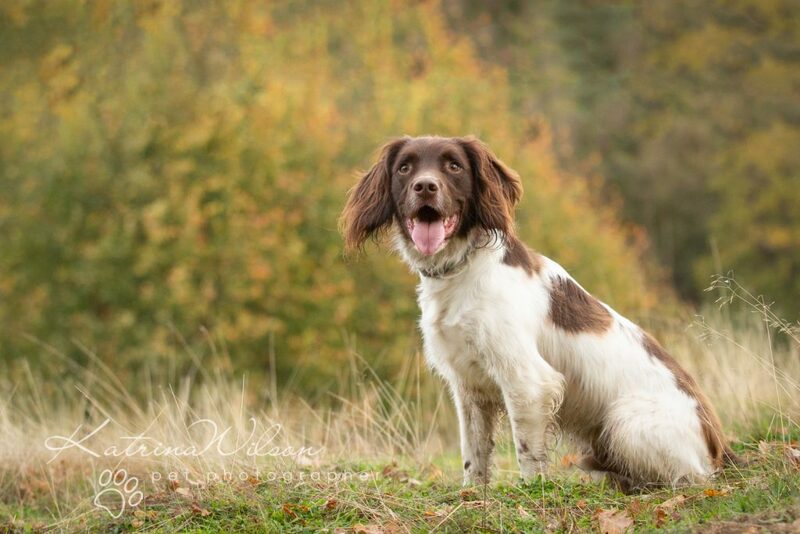 Even in the middle of the woods with all those tempting smells around him, we managed a perfect down stay! 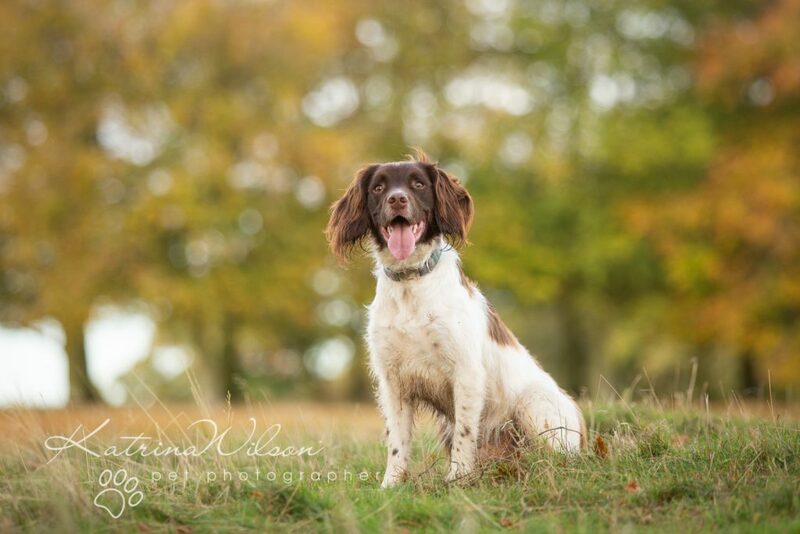 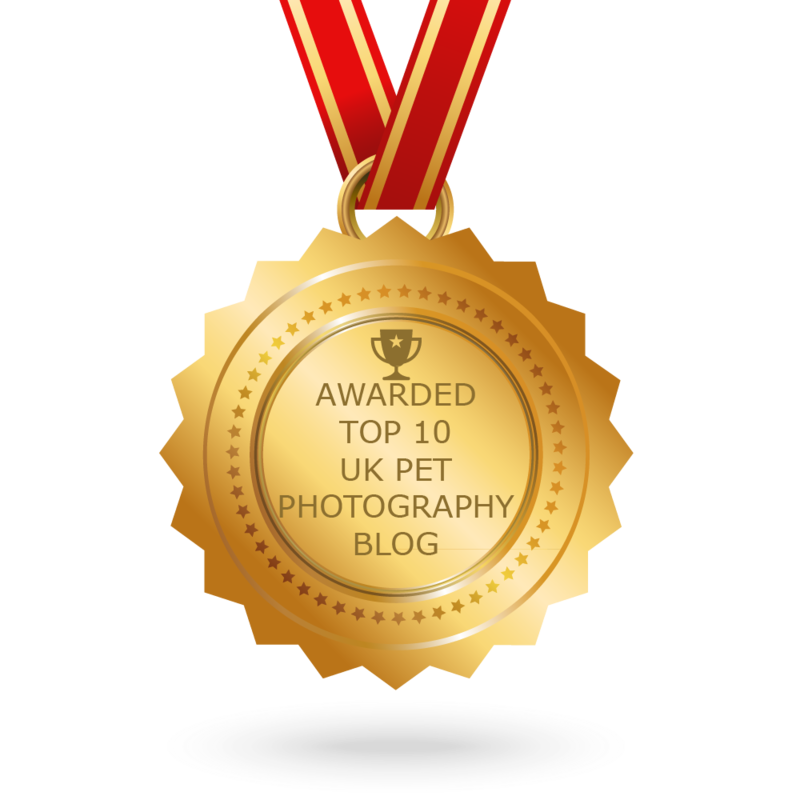 …..boredom eventually set in and that was my cue to end the session – and what a brilliant time the 3 of us had together I was so happy with the final set of images that I was able to share with Claire, and she now has lasting memories of our session together and her favourite boy!